From south, catch the 0945 ferry Toft - Ulsta and continue north to Gutcher. We will meet at the car park of the Gutcher ferry port at 10.40 a.m. The programme is Mass (location to be confirmed), picnic lunch (bring and share) and a visit to Breckon beach. Monsignor Robert McDonald died in Dufftown Hospital at 11.20 p.m. on Thursday 14th February 2019, just short of his 90th birthday. 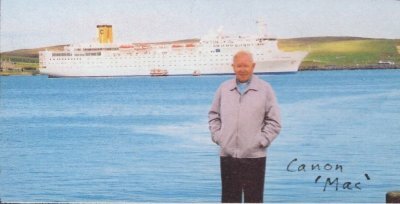 He was a much loved priest of the Diocese of Aberdeen and was a frequent visitor to Shetland, his last trip north being for the St Margaret's Centenary Celebrations in 2011. Reception of the body at Pluscarden Abbey, Elgin, at 4 p.m. on Sunday 24th March. Funeral Mass at Pluscarden Abbey, Noon, Monday 25th March. Bishop Hugh will preside. Burial at Dufftown, Banffshire, follows the Mass. 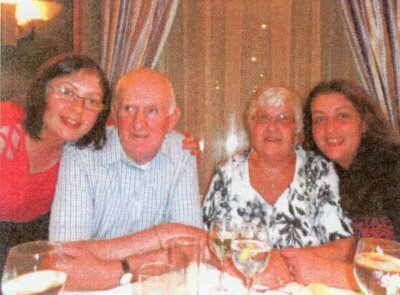 John Gallagher died on Tuesday, 19th February 2019, at Overton Lea Care Home, Levenwick. He was 75. The funeral was at St Margaret's on 26th February at St Margaret's Church, with burial in Lerwick Cemetery, New Extension. Originally from Dungloe, Co. Donegal, John had lived in Shetland since 1976. Aileen and family would like to thank you for your attendance, support and kindness at this time.